Charles Olive has teamed up with Alexander Boyd at 52 Artillery Lane, near Liverpool Street, to launch a menswear pop-up for the next two months. 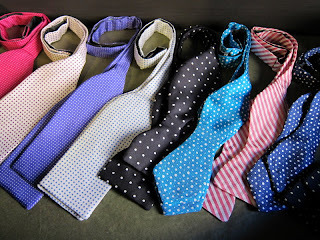 Charles will be curating a collection from the existing stocks, and also adding lots of his own very colourful bow ties. They're also hoping to host lots of events with different brands over the two month duration.